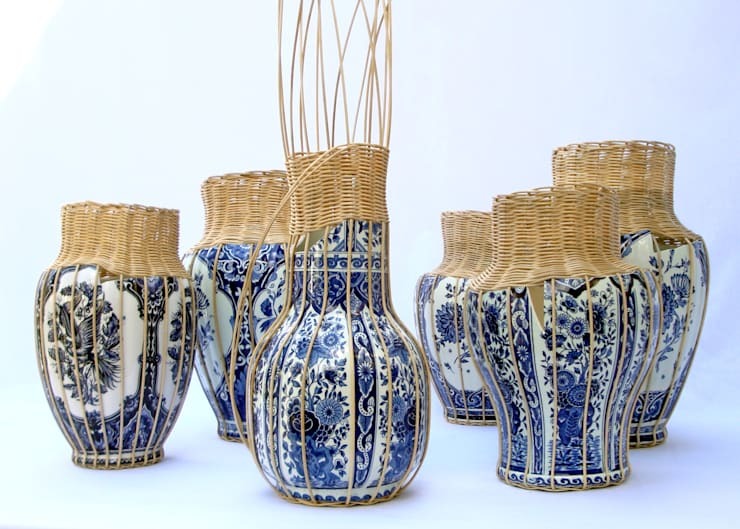 Centerpiece is series of sculptural vases with a combination of two traditional Dutch crafts. 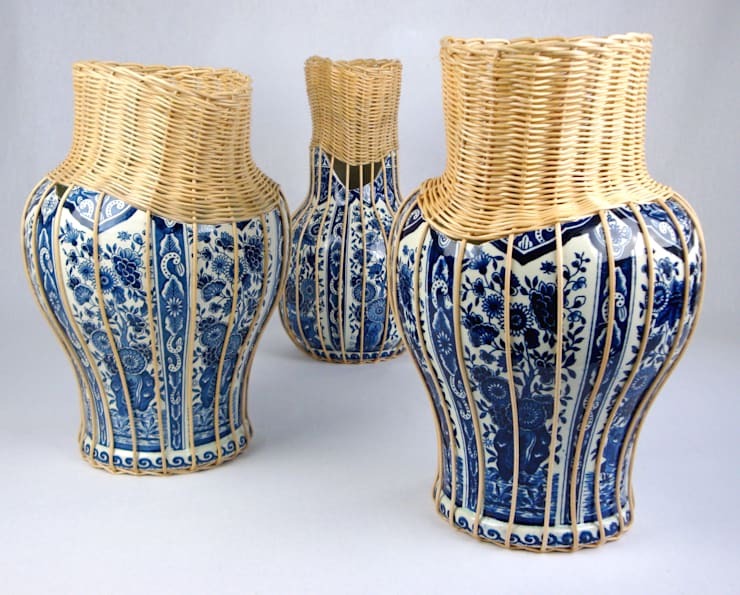 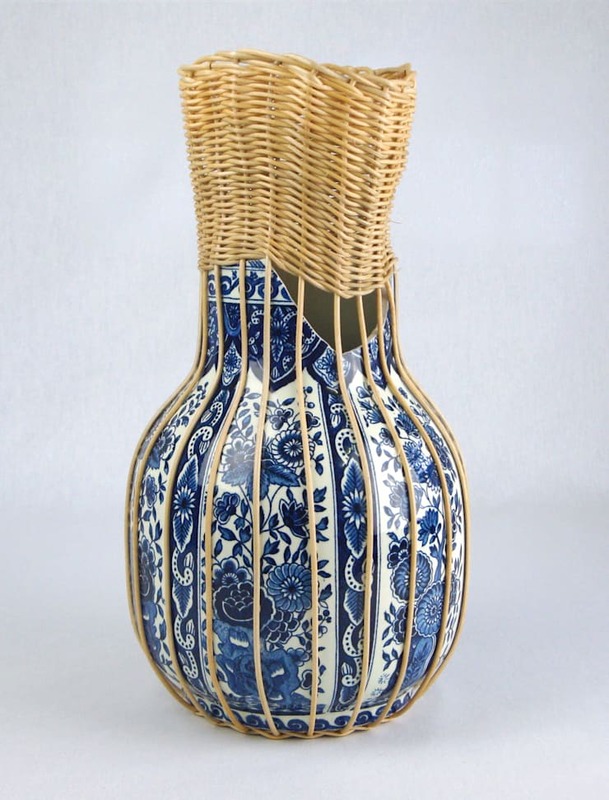 A combination of fragmented Delfts Blue vases with beautifully hand crafted wicker braiding. 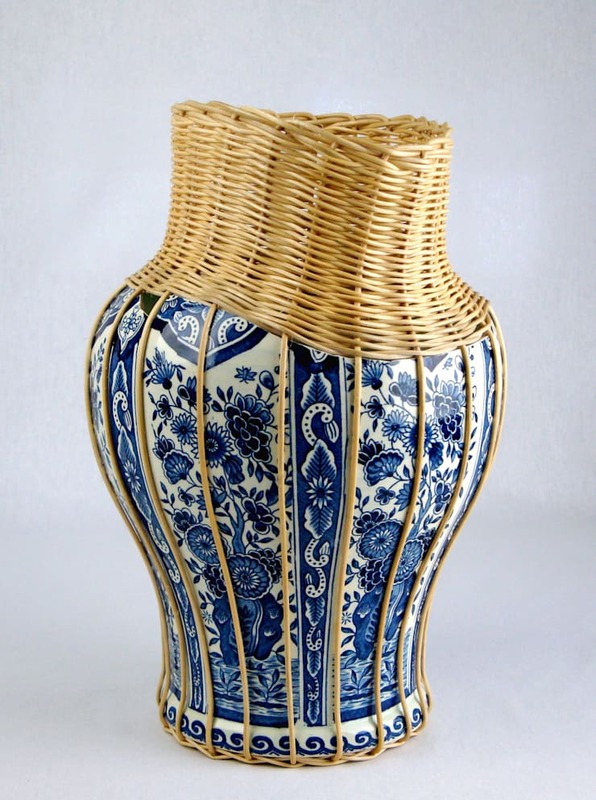 Filling in the missing parts of the fragmented vase by elegantly combining the two materials which are visible by contrast. 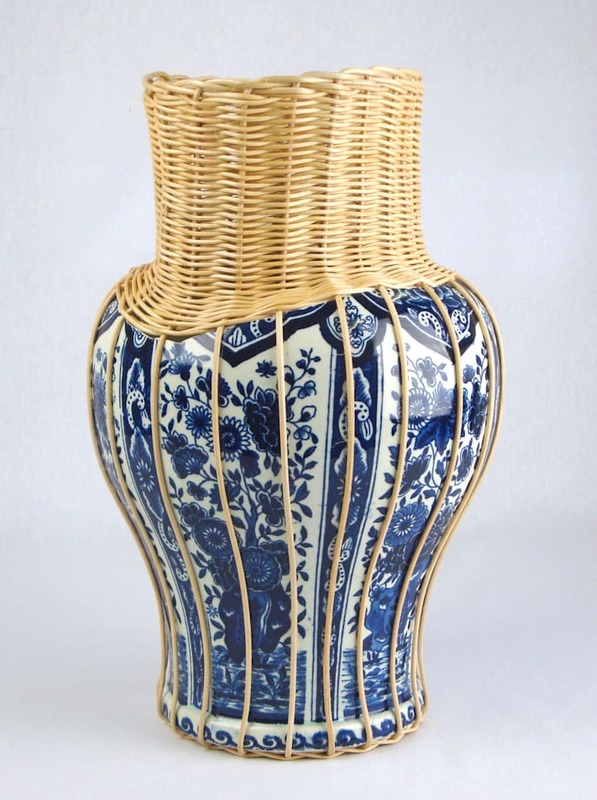 During the research of Rotan I came to the discovery that the Netherlands has a very long history with wicker and basketry.